Looking for a Yamaha fill up windshield with hardware. I just purchased one with my 19. I will say that when I looked at it online I thought it was cheesy. But seeing it in person and than having it on my car, I really love it. It's there when you need it and out of the way when you don't. Hope you find one. They are awesome, had one on my 2016, and my 2019 Turbo. Last edited by rickkcg; 03-30-2019 at 06:54 AM. 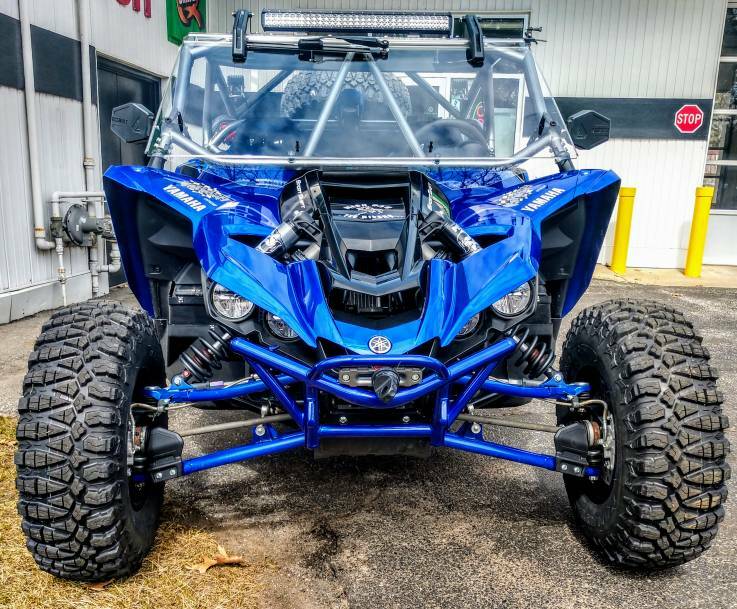 I just purchased a 2019 YXZ SS SE White and wanted the Yamaha flip up windshield (as shown on yours), but wasn't sure it would clear the double 21 1/2 " light bar, so I just purchased the non flip spike windshield with 2 vents. Now seeing you have about the same lightbar up top, does the windshield clear the lightbar? When you flip it up you have about 7 inches of clearance on my aftermarket cage. I'm assuming you have about the same amount if you have a stock cage. Yes they are, side "A" mounted outside for softer terrain. Are those the 30's and how are they working out? 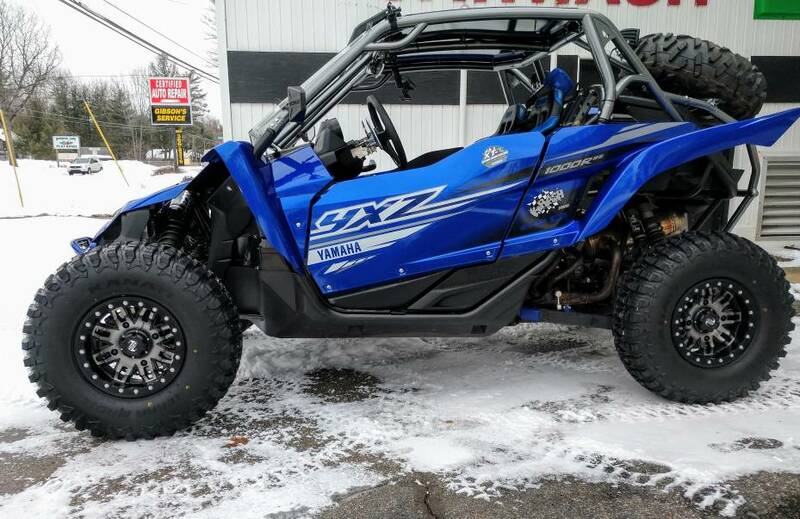 Those are the tires I'm looking at getting. Yes, they are 30x10x14 on Tusk Teton Gun metal 14x7 4+3 offset. 2 inches wider per wheel, so 68 wide with the 4+3 offset. So far i like them, mostly used on loose snow mud water some dirt I live in Michigan so the trails are still pretty Frozen. Another week or two and I'll be able to test them out for sure.